Reading Now:Revealed: 2019 Ford Ranger Boasts Class Leading Towing and Payload Rating! Revealed: 2019 Ford Ranger Boasts Class Leading Towing and Payload Rating! How much do these numbers lead the class by? 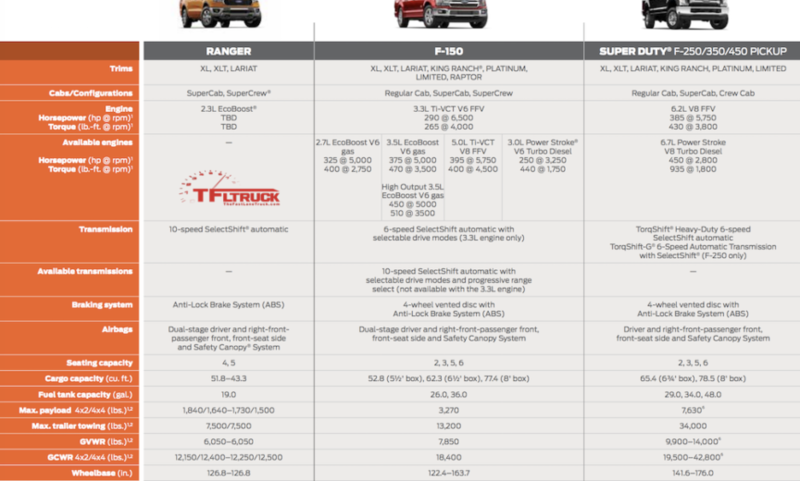 See the comparisons to the Toyota Tacoma and Chevy Colorado inside. We still don’t have power nor MPG figures for the 2.3L Ecoboost Ranger, but those numbers will hopefully drop soon.